Well, it seems as if the God of Communication is not waiting until his service is complete to make staying in touch with us a priority. Yes, late, late, late Saturday evening..uh, er, Sunday morning or the 6th of August to be exact G.O took to updating his Instagram account once again, posting two pictures back-to-back that he most assuredly grabbed from his phone gallery archives. Two pictures he noted that were taken last year. Oh so very sweet and nostalgic. Every update and/or survival report is a gift. A treasure. A keepsake. We all love solo selcas of G.O, that’s a given. 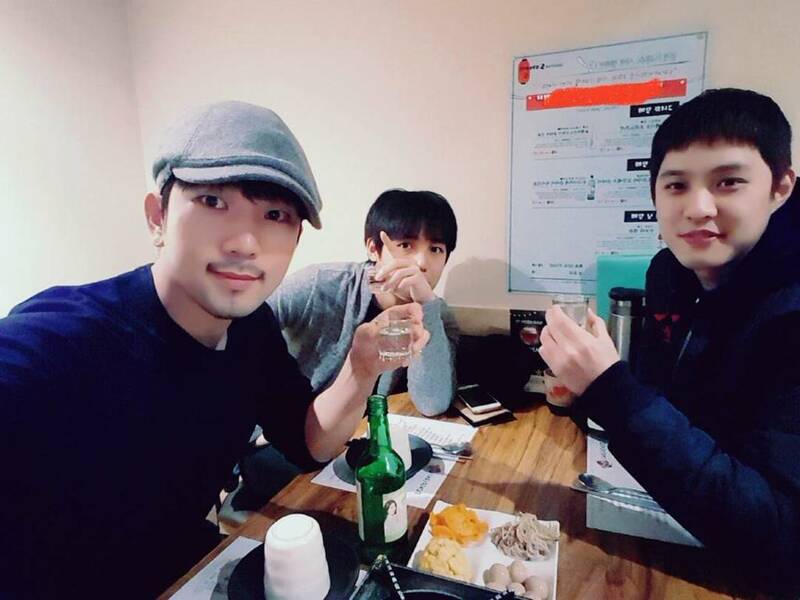 But what happens when he surprises us with a picture of himself with his MBLAQ brothers? Overwhelming emotion happens!! If seeing this update did not make you yearn to see the three of them together again, I don’t know what would. Admittedly, it made me so emotional. It was such a sweet surprise and so unexpected. However, this pic is not from last year (but close). It was taken earlier this year when the men met up with their long time stylists for dinner and drinks. But then, he did not stop. Nope. G.O grabbed another picture from his gallery and updated seconds later. The happy jumping from this picture is undeniable and you all know how I feel about seeing a happy G.O! 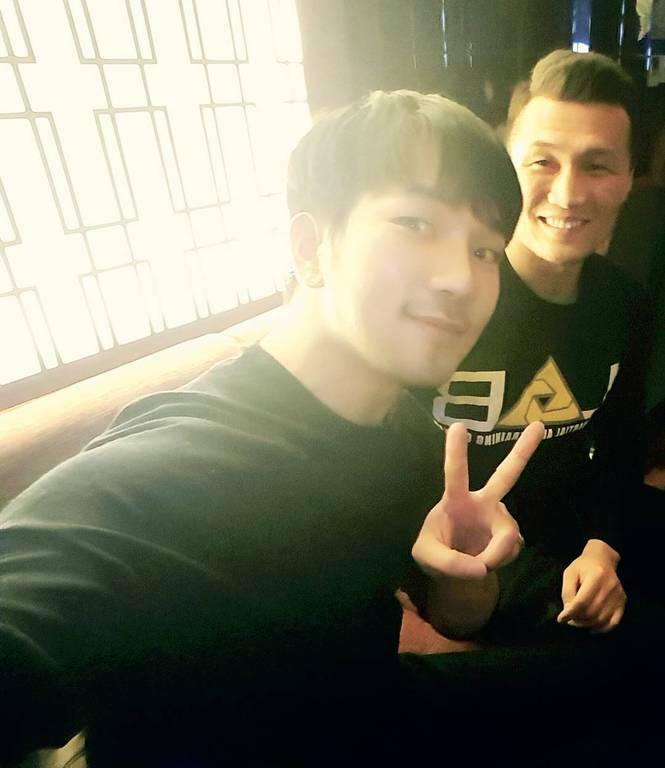 In this instance we have a happy G.O with Jung Chan Sung, better known in the mixed martial arts fighting world as The Korean Zombie. Remember when G.O took up his first public service position with the City of Seocho and he took part in that public service project for traffic safety? Of course you do! Well then you also will recall at that time Mr. Zombie was also enlisted and completing his own public service duties with Seocho as well. G.O mentions in his caption to the picture that this too was last year. Perhaps he was going through some of his pictures and reminiscing. And what makes it even more special is that G.O graciously allowed us to muse over the memories with him. I wonder what his future updates will bring? A live story or short video clip singing maybe? Be prepared G.Oddesses because this mischief maker is full of surprises lately!